Roman Reigns and Braun Strowman are likely to set the wrestling ring into a battleground this Sunday, Sept. 16, 2018, inside Hell in a Cell. The WWE PPV event is going to take place at AT&T Center in San Antonio, Texas at 7:00 p.m. ET, live on the WWE Network. The most awaited match of WWE Hell in a Cell will play an instrumental role in deciding the winning player for the tournament. Undoubtedly, it is going to be one of the most thrilling matches for the fans and followers of both these players. The contest between the two is going to be quite close as they both have a long time rival for 2 years. Roman Reigns & Braun Strowman have faced each other a lot of times, it’s just earlier they fought for the non-titles match but this time it’s going to be for the WWE Universal Championship. Roman Reigns is the current WWE Universal Champion. He recently defeated Brock Lesnar at SummerSlam 2018 to take the title over. On the other hand, Bruan Strowman won the Money In The Bank contract which he has cashed in for having a fight with the BIG DOG for the title. No wonder that the match will be full of twists and turns which will add to the excitement of the viewers. WWE is all set to witness this massive fight between two renowned wrestling players who made a mark in the field of sports with their extraordinary ability to play the game well. What makes both the players stand out in the crowd is their sheer determination and dedication to out their opponents with their playing tricks. Their supporting partners will play an equally important role in defending the titles. While Dean Ambrose and Seth Rollins will be helping Reigns, Dolph Ziggler and Drew McIntyre are going to support, Strowman. Also, with the inclusion of Mick Foley as a special guest referee we can expect fair decision making and an impartial verdict. However, according to the predictions, we are expecting that Reigns is going to win the event. He is an all-time champion and it seems that he would carry the title till Wrestlemania 35. He can be challenged by The Rock or Brock Lesnar. 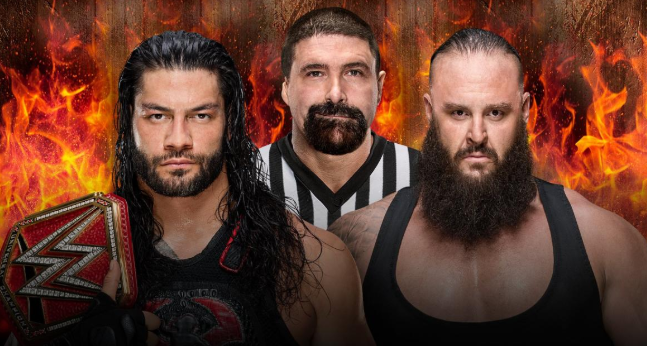 Undoubtedly, Braun Strowman has his “Dogs of War” ready while Roman has “ The Shield” to help him in unforeseen circumstances during the match. 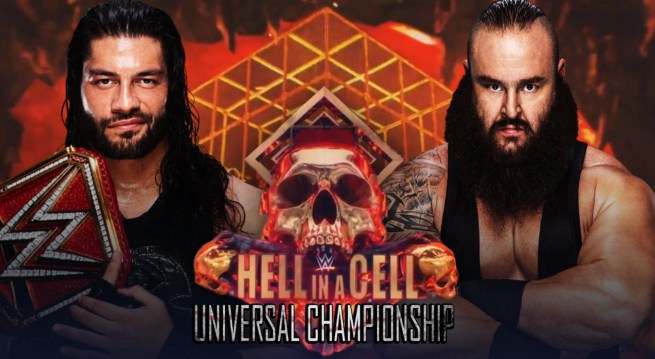 The competition between them is going to be tough as both the sides are determined to emerge as universal champions for the Hell In a Cell event. Braun Strowman is currently the “ money in the bank” holder and that is the ultimate reason why he is holding the Universal title. Earlier, he had made an attempt to take out the big-dog, Roman Reigns but Strowman was severely attacked by Reign’s team members. He had no other option than to retreat after a failed attempt in which he was brutally injured. He again challenged Roman Reigns who is defending his universal championship title for the first time at a pay-per-view event. Stay tuned to the page for more updates relating to the match. You are just a click away from enjoying each and every highlight of the starry match. According to the sources, there is no stopping the champion Braun Strowman from winning the title. The live streaming of the match would be available on official WWE Network. After the event viewers can catch all the exclusive highlights at WMR and its official YouTube Channel.